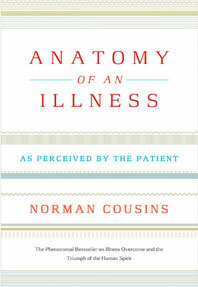 The best-selling, groundbreaking classic by Norman Cousins on combating life-threatening illness through humor and patient participation in care. 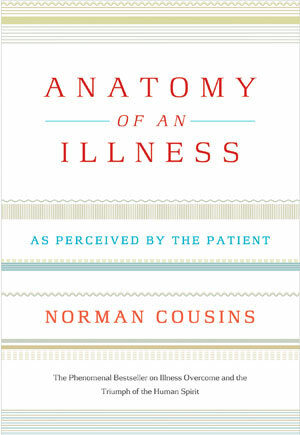 Anatomy of an Illness was the first book by a patient that spoke to our current interest in taking charge of our own health. It started the revolution in patients working with their doctors and using humor to boost their bodies' capacity for healing. When Norman Cousins was diagnosed with a crippling and irreversible disease, he forged an unusual collaboration with his physician, and together they were able to beat the odds. The doctor's genius was in helping his patient to use his own powers: laughter, courage, and tenacity. The patient's talent was in mobilizing his body's own natural resources, proving what an effective healing tool the mind can be. This remarkable story of the triumph of the human spirit is truly inspirational reading.